Shape and scrape your sound. COARSE puts new options at your finger tips. 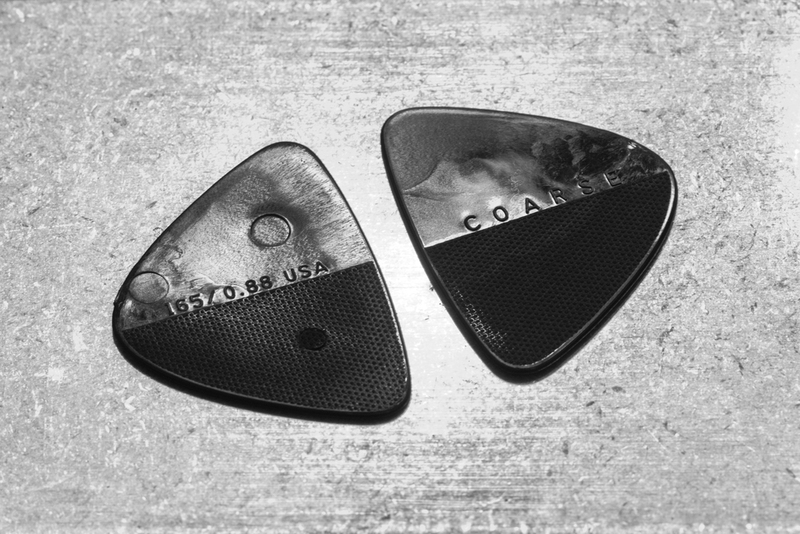 Simply flip COARSE picks over to switch between polished and coarse picking surfaces. Polished for clean, clear bell-like tones. Coarse for a gritty, raspy, textural timbre. Some brands have a textured top designed to grip to your fingers. 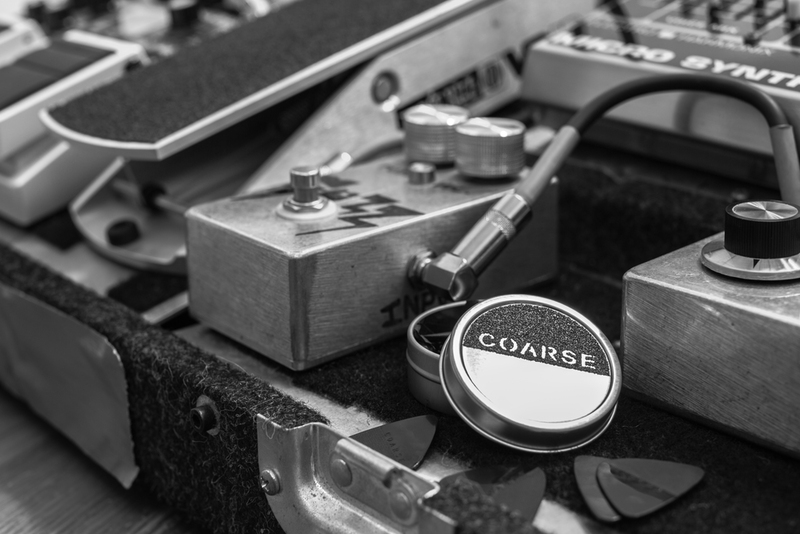 COARSE has a texture developed for its musicality and tone, the culmination of 30+ prototypes and 13 months of R&D work. We obsessed over height, shape, and spacing to get a truly satisfying level of dirt & grit while making sure it played well over a variety of string gauges. Garage made. Garage played. In the U.S.A. Pure analog goodness. No batteries. Think of Coarse as one more knob on your signal chain. One that adds new textural dimensions to your attack. Off-the-chain true bypass purity. A good piece of gear deserves a good hardcase. 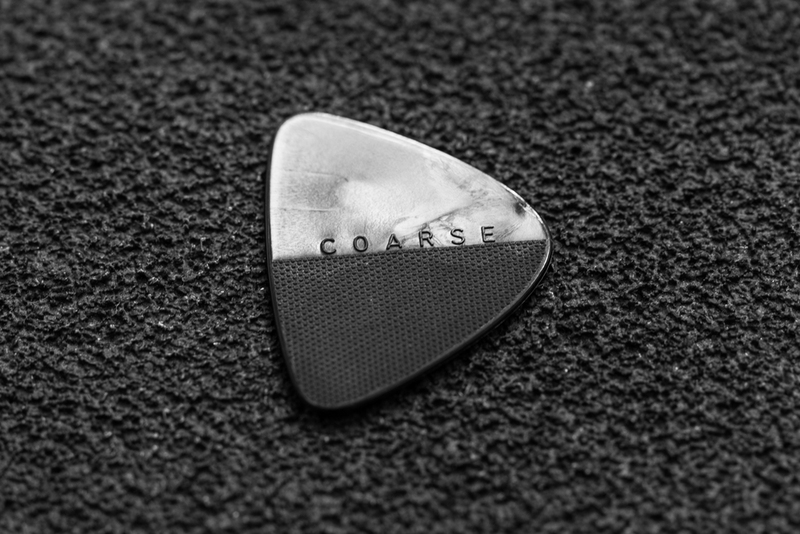 Coarse picks come with a metal case perfect for attaching to your pedal board.